Many people have an ultimate breakfast food. For some it's a stack of pancakes, others prefer biscuit and gravy, while others go for the breakfast burrito or French toast. I, however, prefer the omelet. Now truth be told when it comes to omelets I prefer the Big Steak Omelet from IHOP but it's not every day that we can devour that $10 delight now is it? You need to be able to satisfy that omelet craving at home. 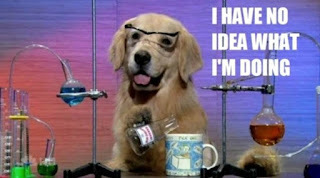 However that can be easier said than done. Making an omelet is a little more than meets the eye because it takes not only patience but it also takes SCIENCE!! Making a perfect omelet also takes practice.. a lot of practice. However, I'm going to teach you the best I can how to make a practically perfect omelet. Before we get started I will forewarn you that the steps I'm having you take are to create ONE omelet. If you are making multiple ones for your family then it will change slightly but I will address that after the step by step. While you will have time to prepare this stuff once you begin to actually cook your omelet, it's best if you have an idea of what you wish to fill your omelet with and have it on standby for the moment that it's needed. 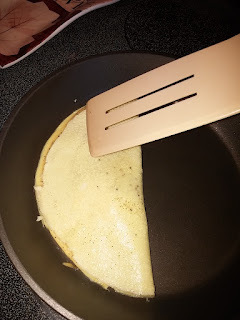 This is for the simple fact that there is a particular point where you should be placing your omelet contents into the skillet but if you wait too long the omelet will already be fully cooked. I generally choose shredded cheddar cheese and a single slice of lunch meat turkey that I've shredded up. 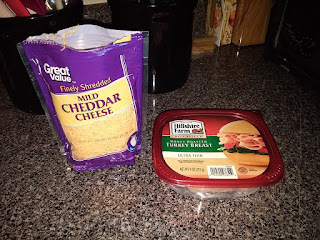 For this particular demonstration I chose to only do the cheese. Take a small skillet/frying pan and place it on the stove. Spray it with cooking spray but DO NOT turn the eye on. Just let it sit there cold until further notice. Be careful not to leave any egg shell in the bowl when you crack them. Simply add Salt, Pepper, and whatever other spices fit your fancy to the bowl. 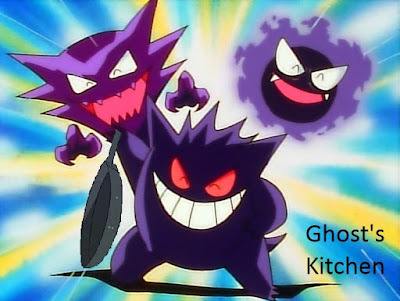 I generally use a couple shakes of salt, pepper, and garlic powder. Here is where part of the science comes in. An egg is, at a molecular level, a group of proteins strongly bonded together. 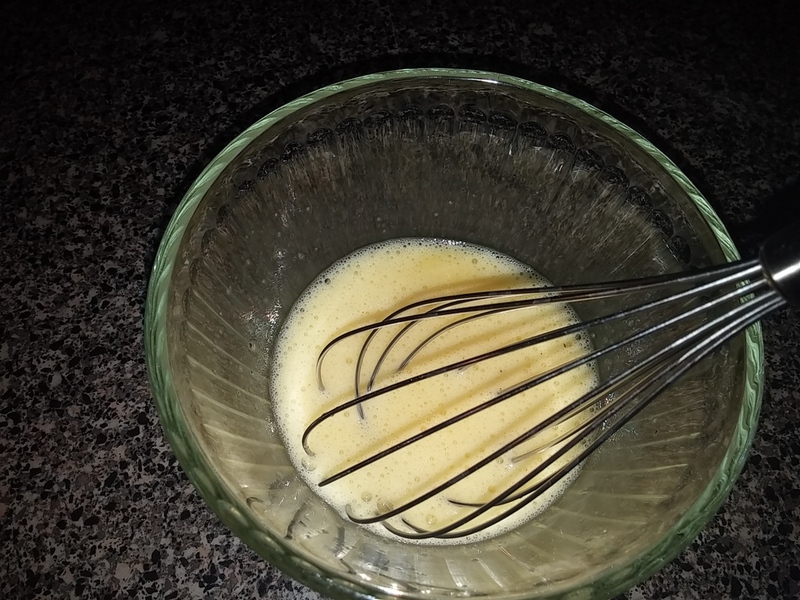 When you beat an egg with a whisk it breaks down those proteins by force and elongates them. 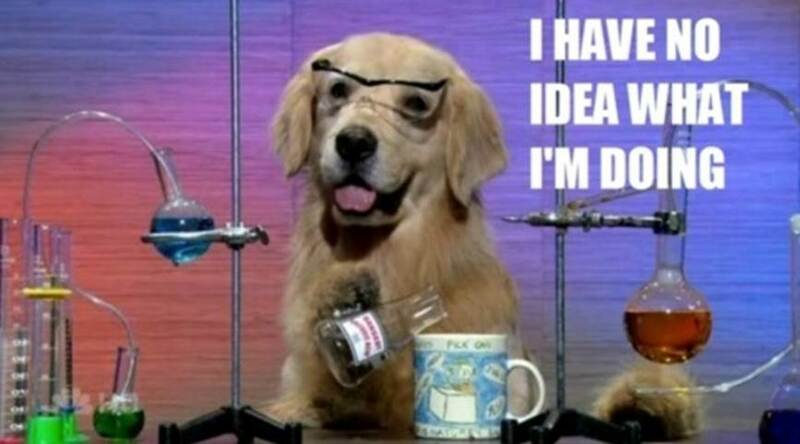 This allows for more oxygen molecules to become entrapped in the mixture. In other words, beating an egg with a whisk adds air to the egg making it fluffier and better when it's cooked. Now when I say to whisk like crazy I mean it. 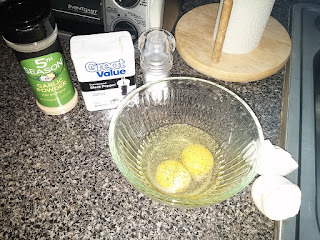 Beat the living daylights out of those eggs for a good 30 seconds. if you see a lot of air bubbles on the top you've done the right thing. 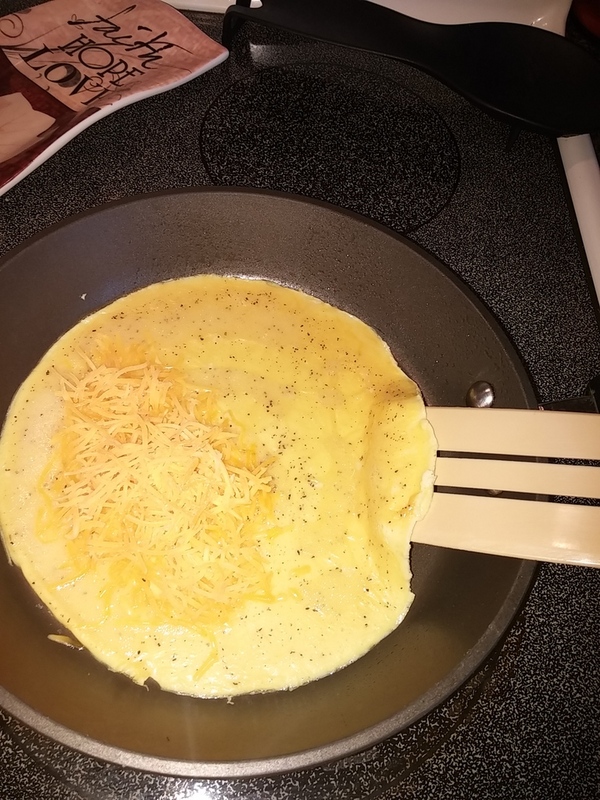 Omelets are best cooked low and slow. 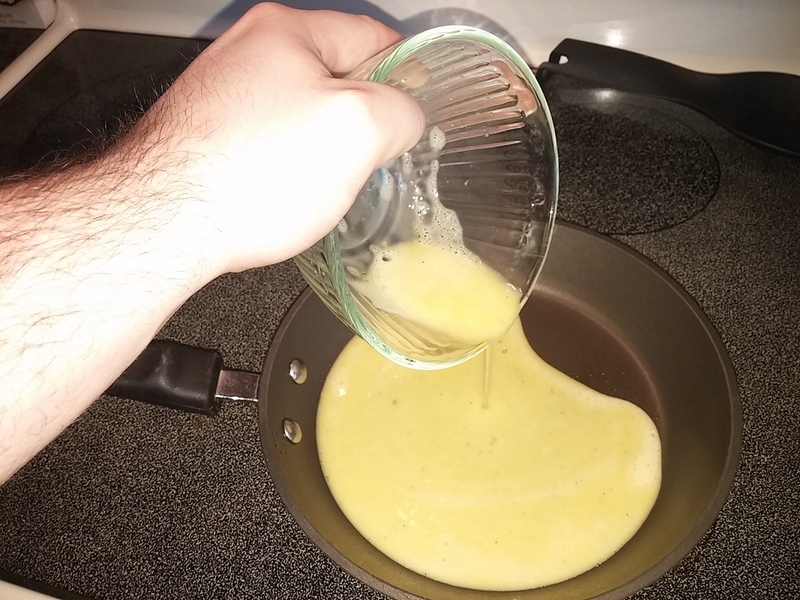 Eggs tend to burn quite quickly and easily so if you have a very hot skillet it's likely to burn the bottom of it ruining your egg completely. Sure cooking it on low heat will take a few minutes but it'll be worth it in the end. 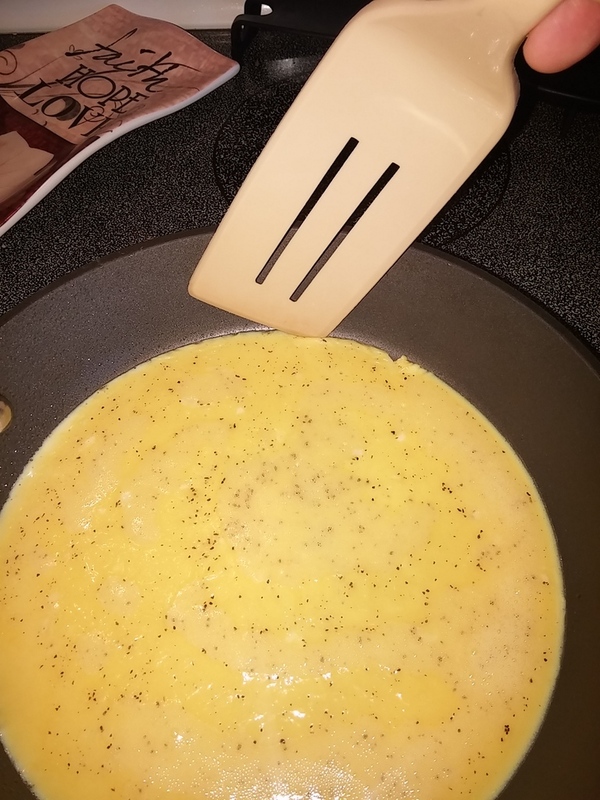 As the omelet cooks you'll want to VERY GENTLY run your turner along the outside edge of the omelet. This ensures that the edges are not sticking to the pan and will make your life easier once we go to actually closing the omelet up later. Eventually your omelet will have only a very thin layer of uncooked egg left along the very top. Try moving the skillet around on the stove eye. 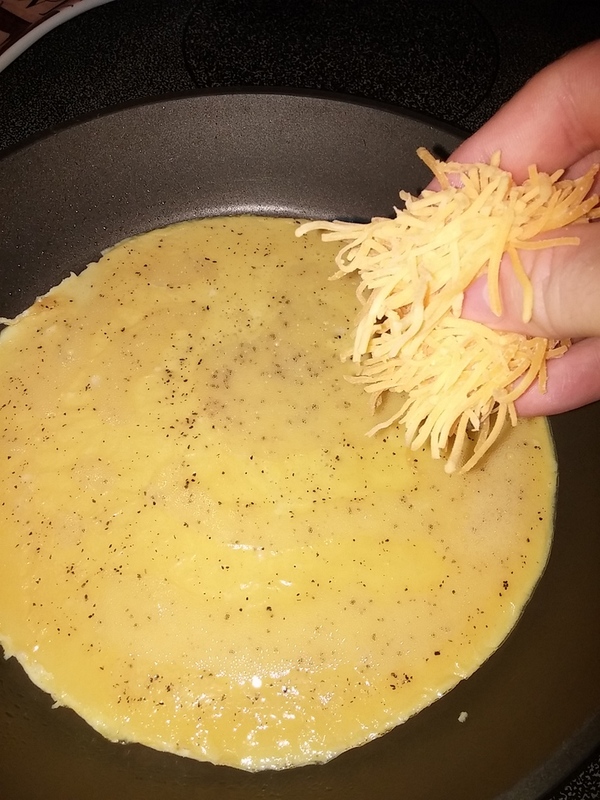 If most of the egg stays in place but the uncooked parts want to lean away from where you're moving the skillet then that's the perfect time to add your cheese, meat, and vegetables on one half of the omelet. When I say very gently I mean it. This particular omelet required the gentleness and patience of pulling a sticker off a DVD Case. This is where I've screwed up more omelets than I care to even count because I get in too much of a hurry and my Omelet rips thus forcing me to make some sort of hybrid cheesy scrambled egg monstrosity. Just be careful and slow as you lift one side and allow it to meet with the other. 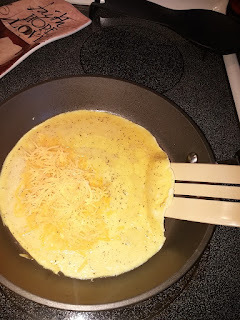 Allow the Omelet to sit for just a little while to cook the insides and melt the cheese. 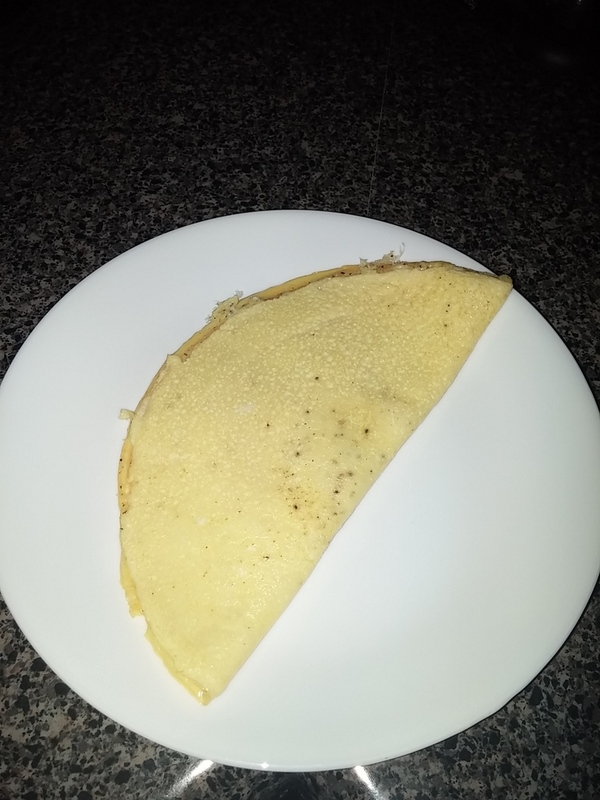 Simply flip the omelet over to the other side and allow it to cook for 30 seconds to 1 Minute longer to make sure that everything inside the omelet is warm and cooked. 13. Plate Up and Enjoy! Now if you plan on making omelets for your entire family then there are parts of this that need to change. 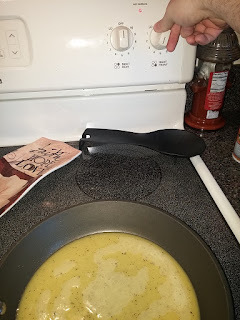 For example you can't have a cold skillet to pour your eggs into for each time so I would suggest cooking your first egg this way then once you remove the omelet, lowering the skillet temperature to low until you place more egg mixture in there then crank the heat back up. 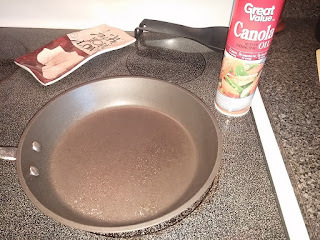 I haven't personally tried this before as my wife doesn't really eat omelets but I'm sure with some practice you'll be able to get it done perfectly. Again, this is something that requires practice and patience. You more than likely won't get this right on the first or even third try but the more you work at it the better your omelet will be. Hopefully this was a help to some of you.